Now that the UK government has set the deadline of 2040 for an end to petrol and diesel vehicles it’s no longer possible to argue that electric vehicles, EVs, are a passing fad. They’re environmentally friendly and they’re cheap to run, but the problem for many of us is that they’re also expensive to buy. Of the 2.5 million vehicles registered in the UK in 2017, only 120,000 were alternatively fuelled vehicles, though that does represent a 34% increase on the previous year. Electric vehicles are not yet suitable for everyone. 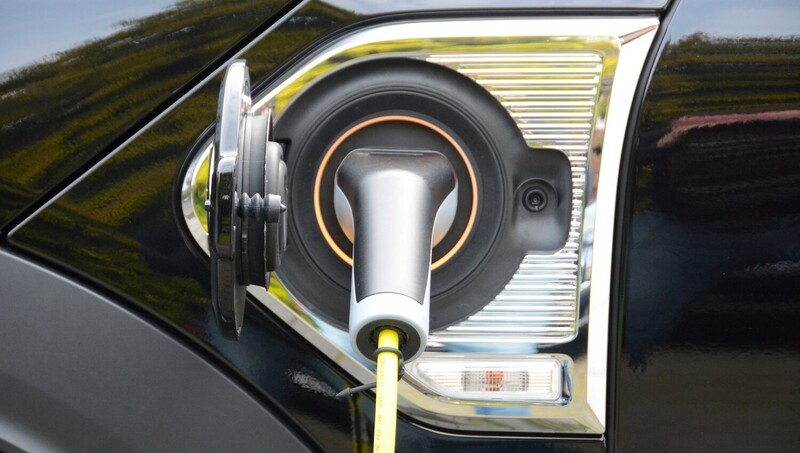 You need off road parking or a garage in order to install a charging point, though if you do, the government will give you £500 toward the cost. If you do a lot of motorway driving an EV won’t really suit, you’ll flatten the battery far too quickly, but if your journeys are short urban start, stop then an EV could be just the thing, a bonus is that you won’t have to pay the London congestion charge. The decision about what type of alternative fuelled vehicle to choose is not straightforward. A 100% electric vehicle will have a range of at least 100 miles, but you’ll need to make sure you’re able to reach one of the 13,000 public charging points, because you’ve no back-up power. With a plug-in hybrid, you’ll only be electric for a short range, but you’ll have a much greater total range. An Extended-Range Electric Vehicle uses a petrol engine to recharge the battery when it’s depleted, and right at the cutting edge there are Fuel Cell Electric Vehicles. FCEVs use hydrogen to produce electricity, but only twelve hydrogen filling stations will be available initially. The newness of the technology and the speed at which it is being developed means that the initial depreciation on electric cars is very high, so buying second hand could grab you a real bargain. It’s worth doing your homework on this because an Electric Car which is in a low insurance group won’t just be cheaper to insure, it’s also likely to be safer and cheaper to repair. Most manufacturers guarantee their batteries for 100,000 miles and between five to eight years but if you do need to replace the battery it could well cost more than the value of your used electric car. When looking at electric cars, make sure to consider the reliability of the battery to ensure you won’t have to spend money on replacing it anytime soon. If you buy a more expensive electric car it is likely that you will buy the battery as part of the purchase. Cheaper vehicles can be sold with a battery lease deal which will have a monthly cost that varies depending on mileage, but it does mean that you won’t have reduced performance because the battery has deteriorated, and you won’t have to face the cost of a new battery. Though you might reasonably expect insurance for an electric vehicle to be cheaper, this is not always the case. Insurers are wary of new technology and the silence of electric cars can pose a threat to pedestrians, as can their charging cables. You certainly need to shop around and explore the possibility of using a specialist insurance provider.